To many electronic musicians who were raised in the age of vinyl and analogue, modern DJ software - with its automatic beat-detection and instant sync buttons - can seem like it's designed to remove all skill from the art of mixing. Understandably, there are plenty out there who believe that DJing in the 21st century is less about musical skill than it is the art of posing behind a controller and pretending you're actually doing something. While it's true that there are DJs out there, including some high-profile names, that take advantage of these technological advances in order to get an easy ride, it's certainly not the case across the board. In fact, not only does digital technology not negate traditional DJ skills, but it opens up a near endless world of creative potential and artistic opportunity, and it's precisely this aspect of modern DJing that we're exploring in this month's cover feature, Beyond The Sync Button. All of that said, it wouldn't feel like FM if we spent the whole issue dwelling purely in the digital realm, would it? To redress the balance we've got some killer analogue gear on our test bench this month. Check out this month's review section for our verdict on Elektron's Analog RYTM drum machine (spoiler: it's great) and the latest in Arturia's line of analogue hardware, the MiniBrute SE. 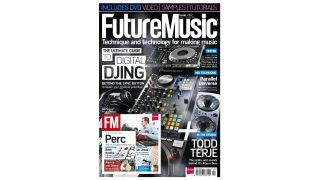 Get 25% off purchases at Beatport exclusively with this issue of FM. See contents pages for details.